It has been nearly ten years since Siju Shabazz, first stepped foot into the Las Cruces PAL boxing gym. 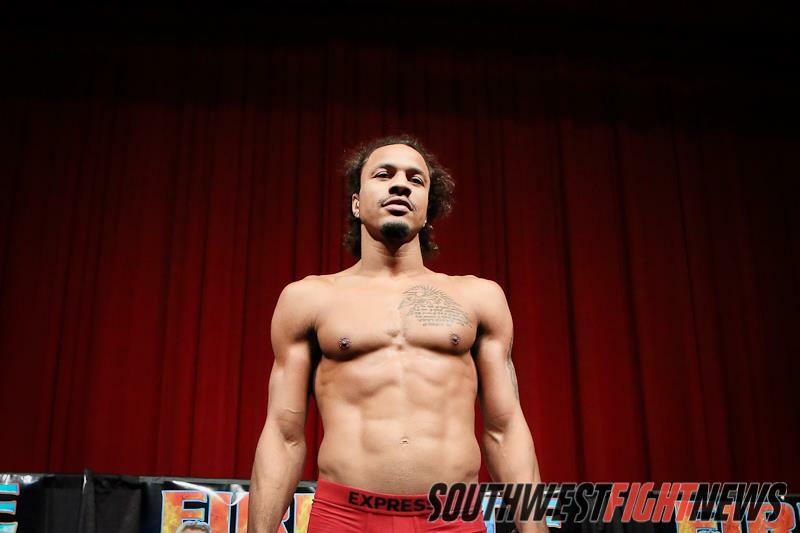 Tonight, the 27-year-old will finally be making his professional debut against Albuquerquean Ricky Villafuerte (debut), on the Holly Holm vs. Diana Prazak card at the Route 66 Casino. The light-heavyweight Shabazz, comes into the fight with a heavily decorated amateur boxing career. On a local-level Shabazz took the New Mexico State Golden Gloves seven times. In 2007, he won gold at the US National Tournament and the National Golden Gloves. The following year he took the same honor at the National PAL Championships, a tournament where he has also been awarded the silver medal twice and the bronze four times. He also served as an Olympic alternate for the 2008 U.S. National Team after finishing runner-up at the U.S. qualifiers. It was then that he first considered going professional. “I felt that I beat all the top prospects,” says Shabazz. “But nothing was coming in.” Referring to offers from top promoters. In 2009, he was presented with the opportunity to join the World Series of Boxing (WSB), an amateur boxing competition organization ran by the International Boxing Association (AIBA) that allowed competitors to fight bare chested and without headgear. The WSB even paid fighters and allowed them to maintain their amateur status. During his time with the WSB, Shabazz would make the decision to give the Olympics one last shot. Unfortunately, he would come up one win short of his goal, losing in the finals of the 2012 London Olympic qualifiers to New York’s Marcus Browne. He was immature he says when looking to sign a professional contract. “I thought I should have been paid just as well as an Olympian. That was the wrong mentality and attitude to have,” says Shabazz. He would continue to train but took some time away from competition to humble himself and then make the decision to finally go pro. Shabazz has come a long way since growing up on a 5-acre piece of land in the small southern as it gets town of Chaparral, New Mexico where he lived with his father, his mother, and his father’s four other wives. Originally, from Nigeria, Shabazz’s father lived a very customary lifestyle even here in the United States. It was a lifestyle that Shabazz says most people would not consider normal but was daily for him. For the first part of high school he attended Gadsden High in Anthony, New Mexico. It was there where Shabazz first started getting into trouble. In his sophomore year of high school, Shabazz’s mother would move him to Las Cruces High School where he would play football and continued his reputation of a “tough-guy”, beating up everyone on his team in boxing matches; both with gloves and in street fights. 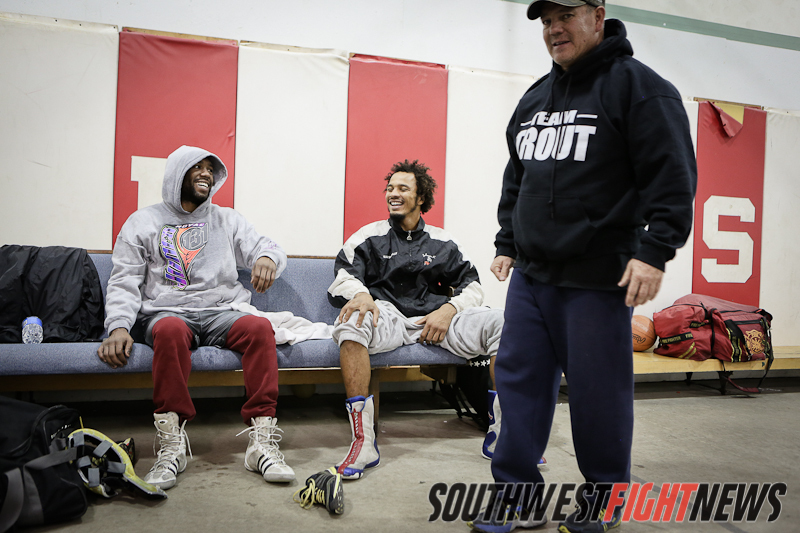 A fellow teammate, told Shabazz, of a friend who was a standout boxer in Las Cruces by the name of Austin Trout. The teammate told Shabazz that he would never be able to beat up Trout. As the high school years continued, Shabazz became a prolific athlete where he participated in football, track and wrestling. He continued to be a troubled teen and in an attempt to stay out of trouble, formally began training in boxing his senior year. His talents as a football player were even good enough to make it onto the New Mexico State football team where he redshirted his first year and earned a spot on the roster his sophomore year. Despite the fact that Shabazz was busy with football and boxing he continued find himself on the wrong side of the law. He would be arrested and taken to jail for most of the altercations, most of which he says could have been adverted if it were not for his loud mouth. He would serve several stints in jail, luckily none more then 10-days. As his sophomore year at NMSU began, his coach presented him with an ultimatum; boxing or football. Under the guidance of the late Sammy DiPace and former boxing contender Louie Burke at the Sammy Burke Boxing Center in Las Cruces, Shabazz would launch one of the greatest campaigns in New Mexico Light Heavyweight boxing history. It was his friendship with Trout that says has got him to where he is at today. A brother, who so happens to be managed by Bob Spagnola and advised by world renown boxing power broker Al Haymon, both of whom assisted Shabazz on getting on tonight’s fight card.